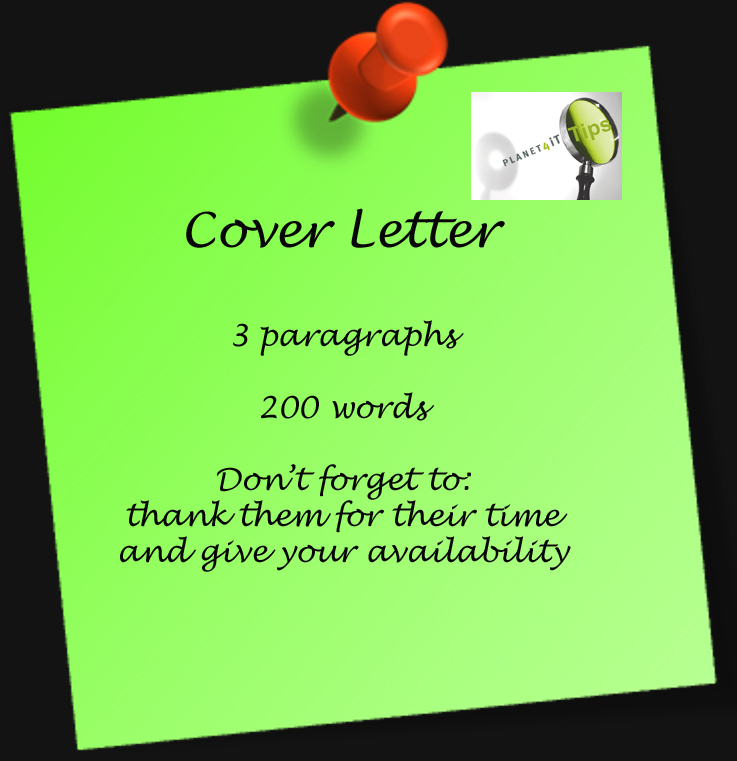 Cover Letters – are they necessary? Should you write a cover letter? The answer is yes. Will everyone read it? Probably not, but you don’t know who will and who won’t so better to write it because if someone does read it you want to impress them. body of the letter – the meat and bones of the letter which will help get you the interview. Keep it simple and keep it short, maximum 200 words. Hiring Managers read a lot of cover letters and resumes over the course of the day, so use your key words to catch their eye. The first paragraph should be about why you are qualified for the job. Don’t tell them you are a hard worker, tell them specifics “I have over 5 years of experience using Java/J2EE including working on …. systems”. “My experience includes working with – keywords from the job description”. The second paragraph shows your knowledge of the company and how you will be a great addition to their team. Again keep those keywords flowing. Companies use “applicant tracking systems” to scan for certain keywords, once you are in their system they will scan your resume and cover letter for every position that comes up. The wrap up paragraph thanks them for their time, lets them know your availability and best way to be reached. Proofread it – get a friend to read it as well. Don’t just spell check. Spell check won’t catch words that are spelled correct but don’t fit the context of the sentence, ie planed and planned, Manager and Manger. And last but not least if you put your cover letter in the email, remember to also attach it in a word and/or pdf document. Set up a file to save your cover letters as well as the resume for each job you apply for, so when you get a call back you will be able to find your documents. 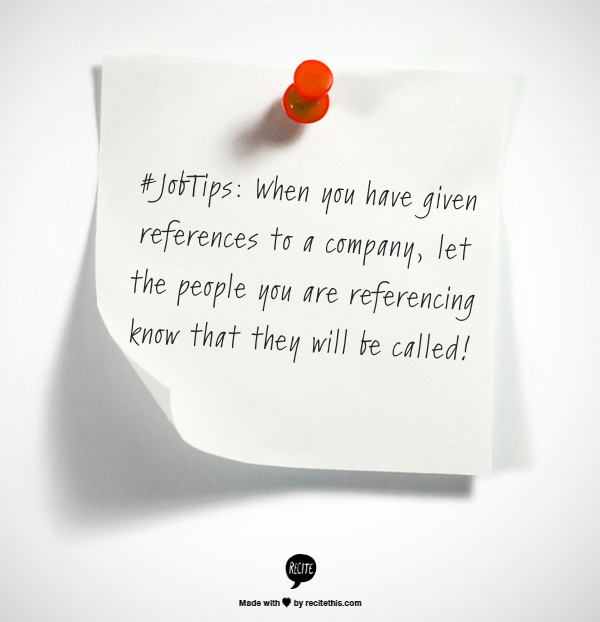 #JobTips: When you have given references to a company, let the people you are referencing know that they will be called! Look, up in the sky! It’s a bird, it’s a plane, it’s a — commercial unmanned drone? Welcome to 2014, where in addition to mammals and commercial airlines, flying robots are claiming their parts of the airways. By now, most of us have heard of drones in some capacity. Whether its about warfare, hobbyists, delivery systems, or even just a passing mention on your favourite television show, it looks like unmanned drones are here to stay. However, this new technology may be appearing and advancing at too rapid a rate. Laws, governments, corporations and people alike all seem confused about what exactly is allowed, or is illegal with these machines. Courts all over the world, not just in the west, are debating and setting precedents regarding drones. These debates centre around who can use the drones, when they can use them, and what they can use them for. The Military, which used them to carry out surveillance missions. Then everything changed, as it’s wont to do, with a massive terrorist attack. 9/11 led to the American invasions of the Middle East, and drones became major part of their offensive. Unmanned surveillance planes suddenly became armed, and began destroying people and objects from thousands of miles away. More and more advanced unmanned machines were developed with the newest technologies – from cameras to sensors that can measure airborne chemicals and warfare. To date, the US has now made and deployed more than 11000 military drones. In 2002, they had fewer than 200. The United States isn’t alone. At least 50 other countries control their own collection, and countries like China, Israel and Iran manufacture their own! And those are just the big companies! We haven’t even touched on the tiny start ups that are now in the drone business. 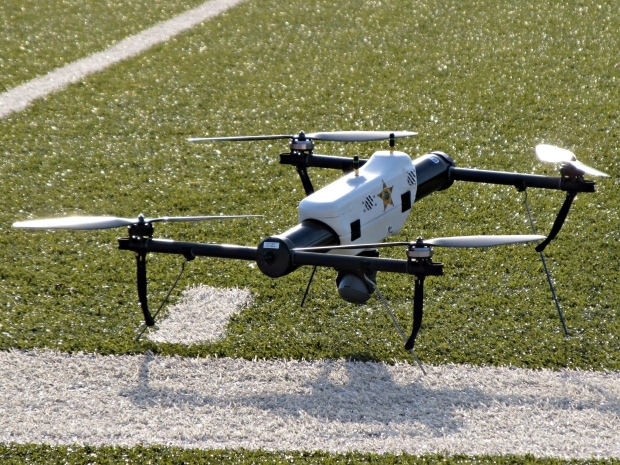 Drones are no longer just for military use. There are many options out there for civilians to purchase them. That’s right – you can even build you’re own drone with lego now! It doesn’t stop there – scientists are now cashing in as well, using drones to gather data on volcanoes in Costa Rica, archaeological sites in Russia and Peru, and flooding over the Pacific Mid-west of the United states. Customs and border officials are using drones to spot smugglers and illegal immigrants in Canada and the United states, and some drones are even used to take a peek into the hearts of hurricanes. Anyone can buy a Drone. I could leave my office, walk down the street to Best Buy or Future Shop and pick one up. No paperwork or registration required. However, that ease of access is making some uncomfortable situations arise. Namely – what can you watch while flying? Some drones sporting cameras have been spotting hovering outside condo windows, over backyards, even city streets – the question is, are these peeping tom drones illegal? It makes me very uncomfortable imagining a drone spying on me from outside of my high rise apartment. So far this year, the Vancouver Police Department has fielded about a dozen drone complaints. These drones aren’t being flown illegally either. In the spring, an Ottawa resident complained to his city councillor about a drone buzzing around his neighbourhood. Commercial use of drones falls under Transport Canada regulations, and requires a Special Flight Operations Certificate. Transport Canada has issued increasing numbers of these in recent years. That number has grown by over 500% from 155 in 2011to 945 this year. The maximum penalty for operating a commercial Drone without a certificate is $5,000 for a person, or $25,000 for a corporation, Transport Canada said. Most of the rules and regulations regarding Drone use only affect ones that weigh more than 35 Kilograms. Anything that weighs less than that is considered a model aircraft, and doesn’t need permission from the federal department to send their devices into the air. Another element that makes this situation more complex is the difficulty in figuring out who is flying the drone. The operator may be out of sight, and these machines don’t usually have licence plates or other identifying features. “Under the current privacy complaint intake process, Canadians must be able to identify the organization they want investigated and must also specify what of their personal information was collected,” says Shayna Gersher, a graduate student at the Institute of Political Economy at Carleton University in Ottawa. Part of the challenge is to distinguish between planes flown by hobbyists and those used for commercial applications. This has become increasingly difficult, as the technology for model planes has grown more sophisticated. There have been some gains – in July a man in New York was arrested and charged with unlawful surveillance after he flew a drone outside exam windows at a hospital. The US is a completely different can of worms, as commercial drone use there is completely illegal. Now, this issue isn’t being ignored. Originally, President Barack Obama signed a law back in 2012 that required the FAA to make American airspace open to drones on September 30 2015, with all the laws in place. However, recently the FAA has said that “technical and regulatory obstacles” will delay that deadline. Of course, many aren’t happy with the delay. A group including hobbyists, scientists and commercial interest groups filed lawsuits in the US last Friday challenging this September 2015 deadline, asking for the government to relax its drone regulations now. The three lawsuits asked the U.S. Court of Appeals for the District of Columbia to review the validity of the directive. The agency said the directive is an attempt to clarify what is a model aircraft and the limitations on their operation. Regulations for flights by larger drones are even farther away. Of course, Amazon with its potential Drone package delivery service is weighing in on this issue. The Economic Times of India claims that Amazon will start testing its delivery drones in India this October! Want a recap on the Amazon Drone Delivery system? Check out our post HERE. Amazon had problems in its initial testing because commercial drone use is currently illegal in the US. To avoid these domestic constraints, Amazon will start drone trials in India, which doesn’t have any laws about drone usage. The Economic Times pinpointed two Indian cities, Mumbai and Bangalore, where Amazon already has warehouses. James is a highly skilled individual with more than nine years of experience under his belt working for companies such as ScribbleLive and Right Move, he brings his many talents and skills to the team. A fairly new resident to Canada, he moved here from London in Janurary 2010 and has since fallen in love with Toronto. 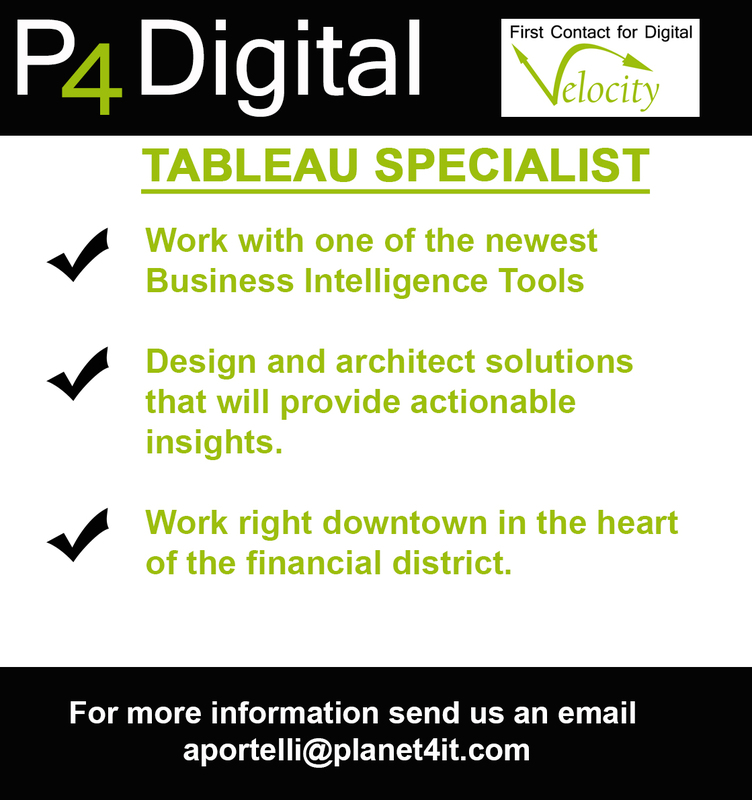 If you’re looking to transition your company to cope with the new digital era, he will bring your business to the next level. He’s already done it across the ocean! Whether he is helping employers find the perfect solution, or trying to break 100 on the golf course, he puts his mind whole heartedly to whatever challenge he faces. 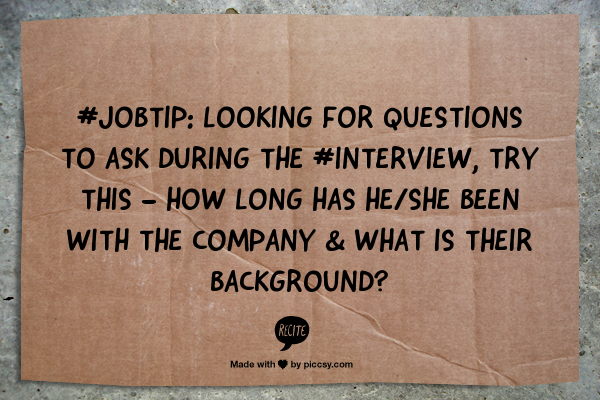 #JobTip: Looking for questions to ask during the #interview, try this – How long has he/she been with the company & what is their background? Battle of the Giants; the truth behind the ebook and paper book war. Everyone you know has a smart phone these days. You hardly have the option NOT to have one. We can dicker about Samsung versus iPhone versus Blackberry, but the fact is you can hardly function without one any more. 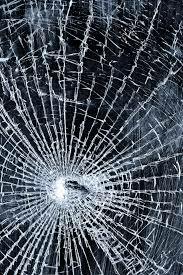 But just as everyone you know has one, almost everyone you know has probably dealt with the darling of the hardware fails: the spiderweb screencrack. Why, in this advance piece of digital marvel-work, does the ruddy carry-have all the integrity of a swiss cheese bandana? I can explain in three well-chosen words: please give them your undivided attention. BECAUSE IT CAN. It’s not just for bell bottoms or skinny jeans any more! Now, you can wear enormous headphones just like they did when the Walkman came out, only now it’s cool. Again. And why? BECAUSE THEY CAN. Take the current Titanic battle between Hachette Book Group and Amazon. Just because you’ve maybe only heard of Hachette recently doesn’t do much to indicate its power or prestige. Founded in the early 1800s (yes, THOSE 1800s) in France, it now owns Hyperion, and publishes such high-profile authors as Mitch Albom, David Baldacci, and Stephen Colbert. Amazon I’m sure you’ve heard of. If you’re an author yourself, you may be publishing through Amazon’s integrated print-on-demand service Createspace. If you’re alive, you may have shopped for books or a million other products through Amazon’s website. For a company that has put more bookstores out of business than Netflix did Blockbusters (before you ask—not a checked fact, more of an irresponsible hyperbole, but you get my drift), the idea that Amazon should be firmly on the side of the little guy is ridiculous. 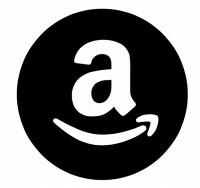 But that’s where Amazon has shown up recently, touting its horror that Hachette would dare to offer its eBooks at a price comparable to that of print copies. Amazon sent out to all its Createspace authors, by definition a group that is not represented by major players in the publishing industry, a lovely little email asking them to get on board, to protect their own interests by writing an email to Hachette’s CEO. This email should be deploring the high prices they want to charge for electronic copies of their catalogue. Oh, and send a copy to them, the “Amazon Team,” of course. Just ahead of World War II, there was a radical invention that shook the foundations of book publishing. It was the paperback book. This was a time when movie tickets cost 10 or 20 cents, and books cost $2.50. JobTip: Looking for questions to ask during the #interview, try this one – what is the size of the department/branch/section?